Bits of of the Tea Garden and other flourishing blooms . . . 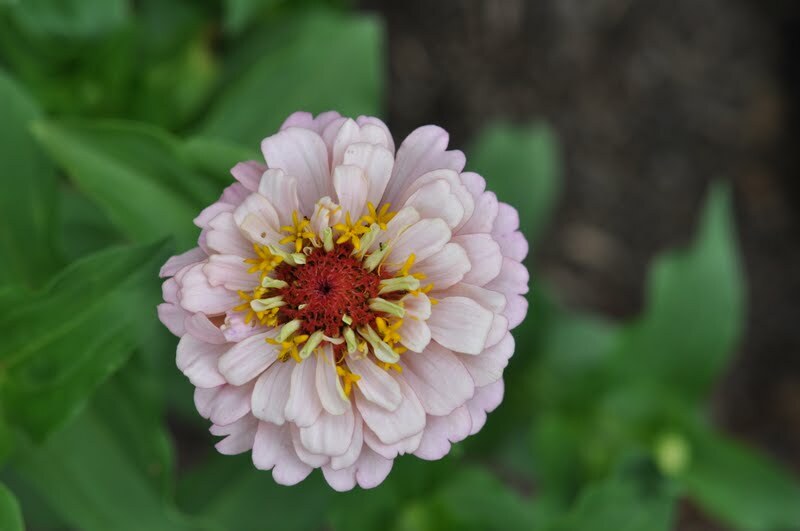 I never cease to be amazed by the intricacy of flowers. Here is a seed, nourished by water and sunlight, and soon it transforms into something almost too predictable that a seven-year-old child would draw. 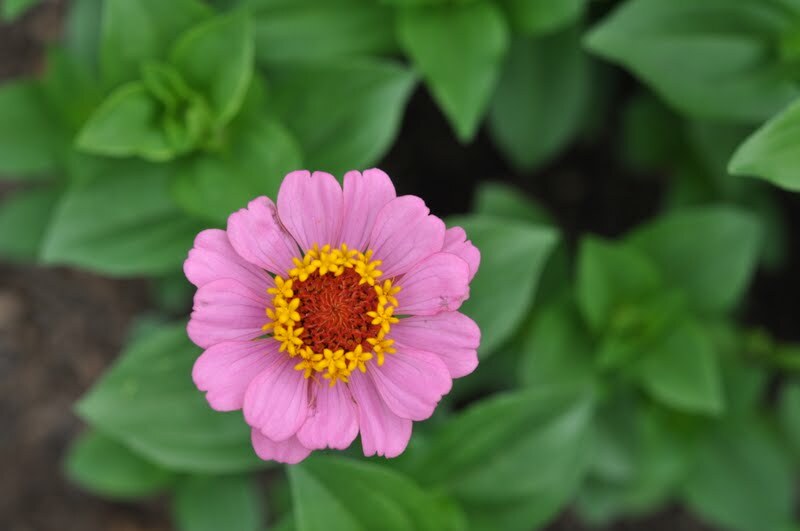 A ring of tiny yellow flowers surrounded by evenly spaced pink peddles. Even as they begin to fade, there is the elegance of an old ballerina . 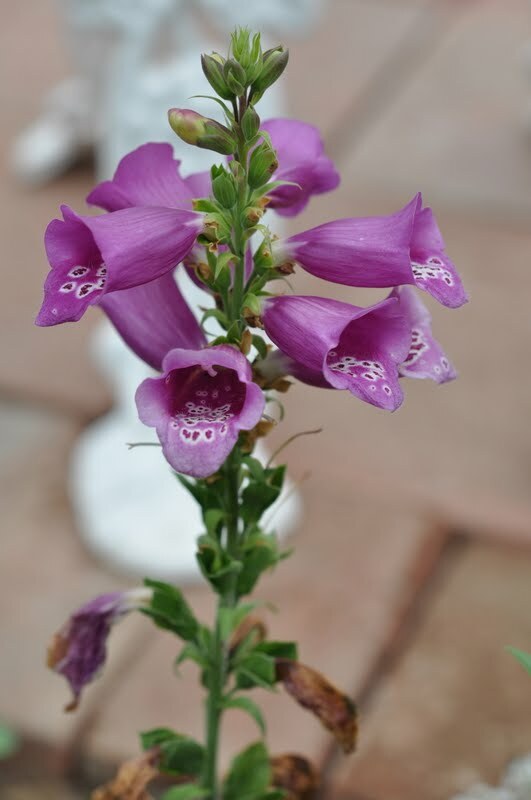 . .
Foxglove stole my heart years ago during my first attempt at a lush flower garden. At the time, the woman at the nursery warned me against them, stressing their extremely poisonous peddles weren’t suitable for around small children. My children are a bit larger now, but I never noticed them picking flowers and putting them in their mouths. 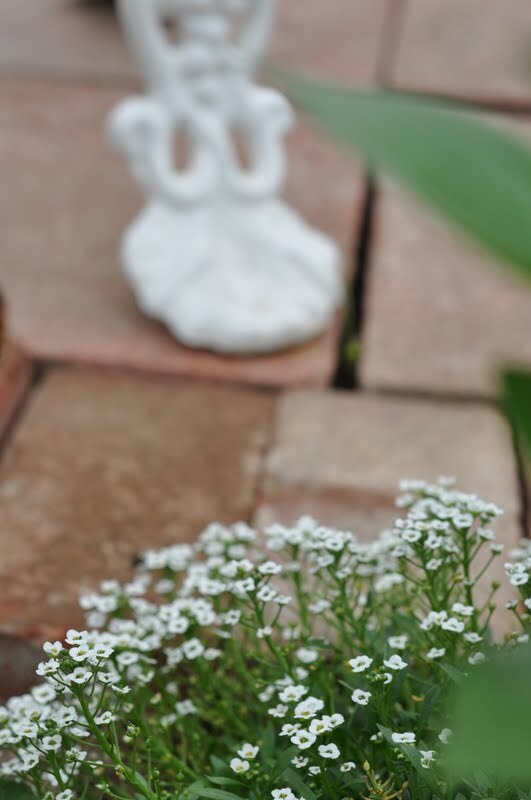 Alyssum is like bread or salt with dinner. 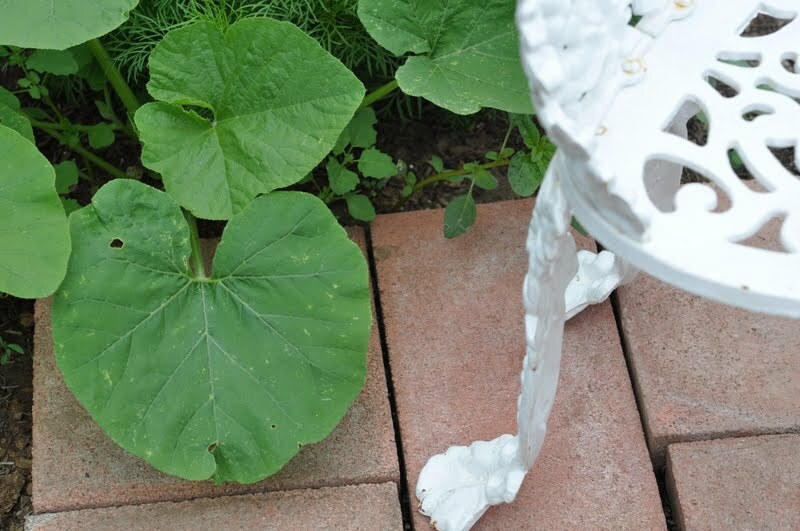 It fills the gaps to make the garden complete. 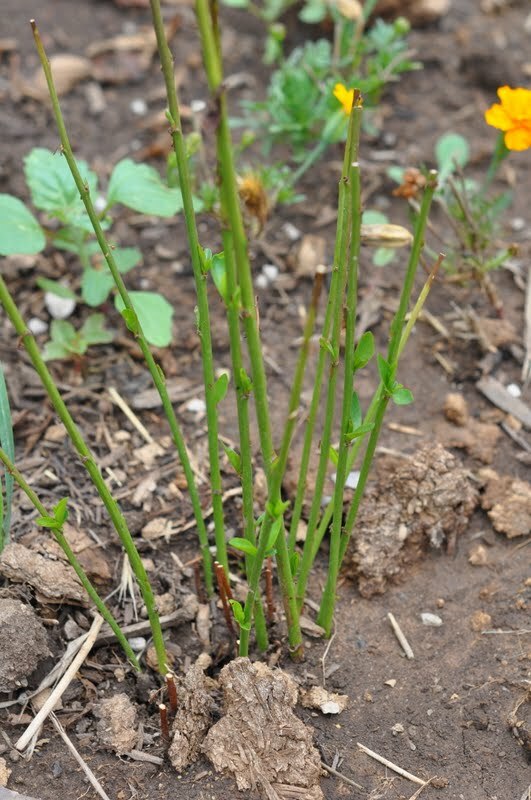 This is a runaway volunteer rose bush that I transplanted. It looked as if it had no hope, but the first green leaves are beginning to emerge. . . 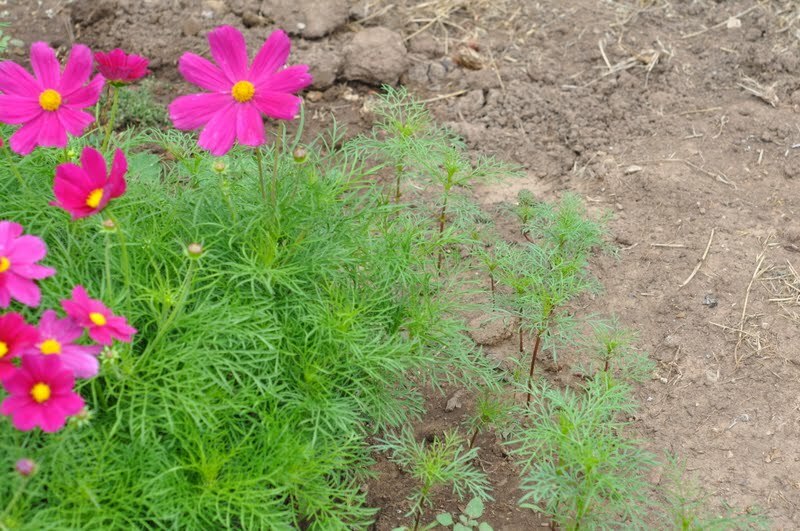 The Cosmos planted . 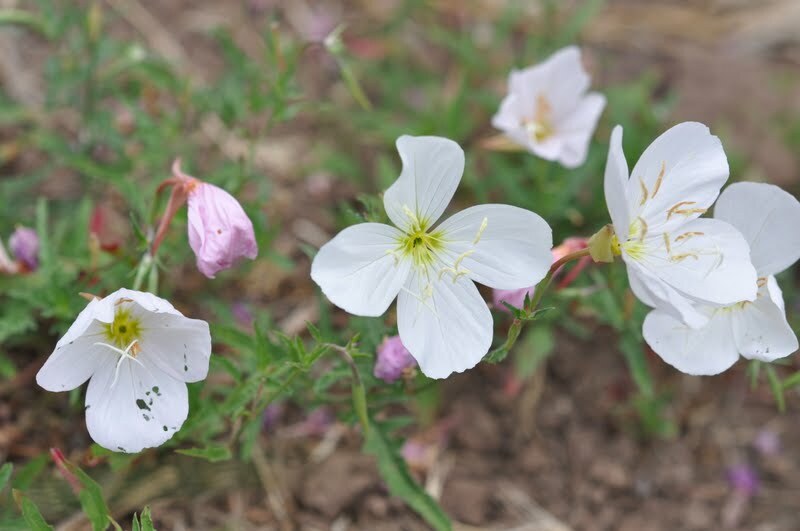 . . First the six pack I bought is blooming, while the seeds I spread, became sprouts and are chasing to catch up. 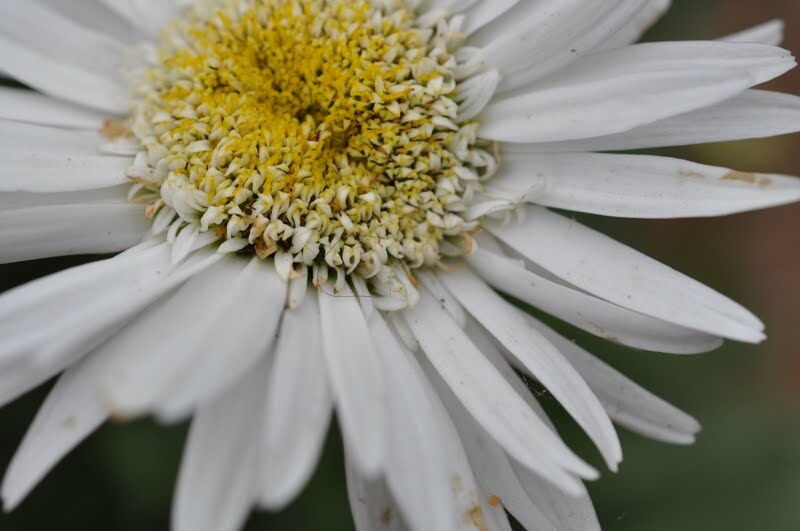 Shasta Daisy . . . 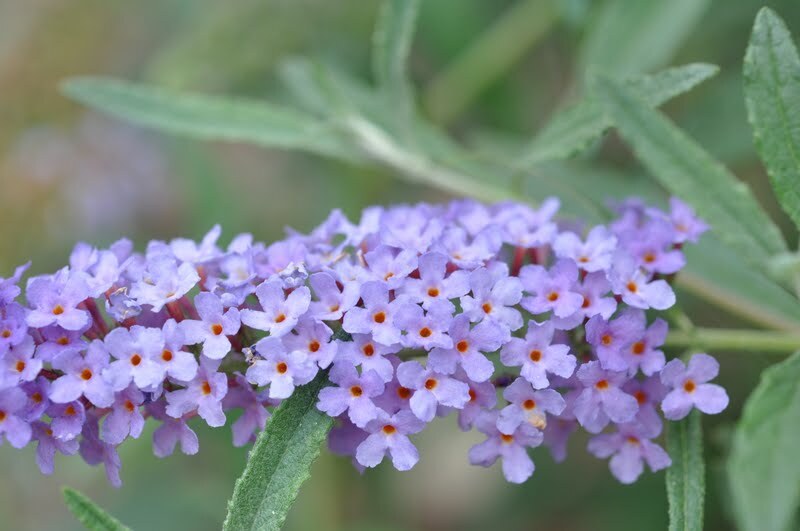 The beautiful blue tone of the vigorous butterfly bush. And our new found friend . 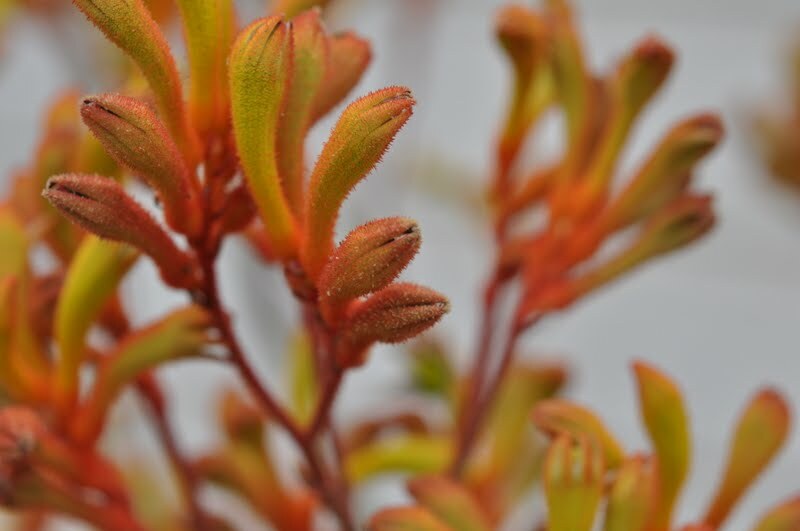 . . Kangaroo Paw, this variety is called Tequila Sunrise . . .
Volunteer something . 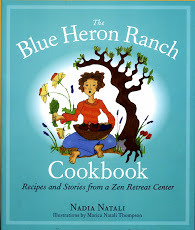 . . makes our yard have patches of a meadow . . .
And my all time favorite, Hollyhock, appreciating its wealth of water and our beaming sun. ← Previous Post The new chef . . .
Next Post → Old to new . 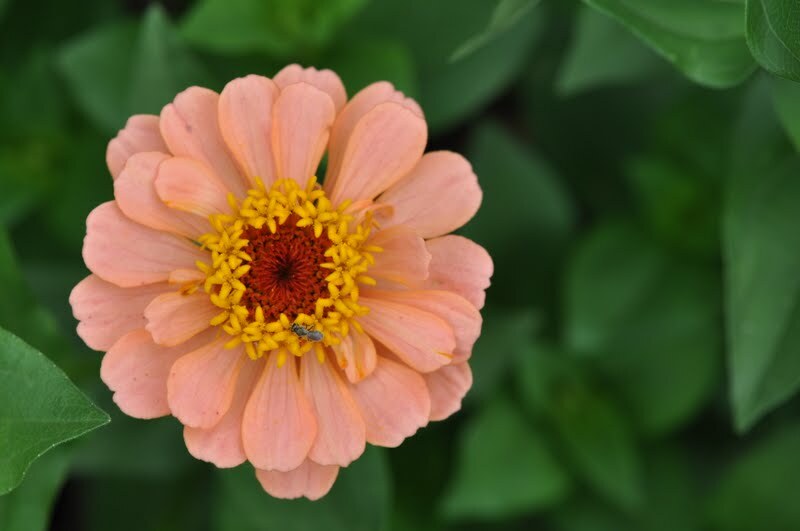 . .
love the slightly different zinnias… so pretty!